The Louisey Rider Cup is only a day away, folks! With is in mind, the peeps at NRD wanted to give you all ‘the skinny’ about the chain of events on this most awesome day ! In short, there are five co-ed teams, each playing four games of 20 minutes. 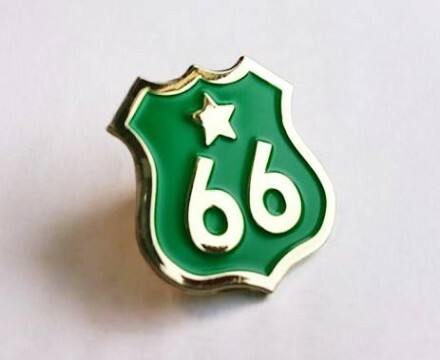 Teams are given 2 points for a win, and 1 point for each multiple of 66 points that they score in their game.The winner is the team with the most tournament points at the end, in the event of a tie, it goes to points differential. Exciting! The winners of the first part will then play a game with 2, twenty minute ‘hard clock’ periods, against a team made up of 10 pre-selected NRD All-Stars, with the remaining 4 slots taken by the MVPs from the runner-up teams in part 1. Get it? Good ! Although…don’t worry if not, there’ll be lots of friendly NRD folk around on the day to help people figure out what the heck is going on. All you need to know as a roller derby rookie is; It’s fast and furious and so much fun !! So what else is happening? Well, we’ve got tons of cool stuff you can pick up from these amazing stalls: Derby Store for all your derby kit needs (quite literally.) Witness the Fitness fuelling us with the best in sports and energy supplements. Megan Crook – Textile Guru to pick up knitted wonders. Painted Ghost Press supplying personalised items including scrim tops and water bottles. The Power Of Greyskull because everyone needs fancy leggings and Clumsy Kate bringing cuteness and style to your wardrobe! 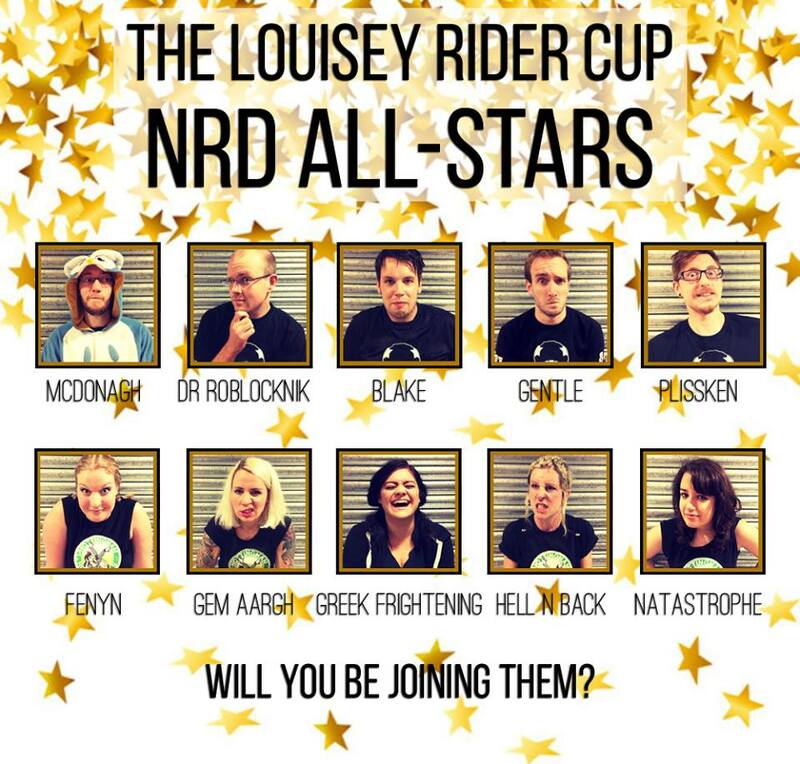 Don’t forget the fabulous new merchandise from Nottingham Roller Derby including two LRC tournament t-shirts and a very special pin badge. (Limited edition stuff so get there first!). There will also be cake, sparkles, face paint, sparkles, awesome announcers, sparkles, charitable deeds* AND sparkles!! Yes, our Louisey was all about the glitter trail ! In fact, the amazing Spank Van Dykes have even named a shooter ‘The Glitter Trail’ in her honour where all proceeds from the drink will go to our chosen charity, Brake. Be sure order a few at the afterparty (See below). And when the day is done… then what??? 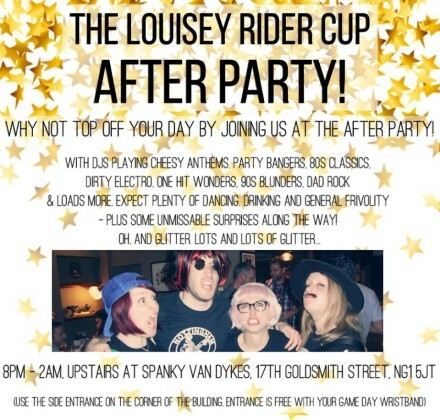 The afterparty will be held upstairs at Spanky Van Dykes from 8pm – 2am. Entrance is via the door at the corner of the building and NOT through the bar. Entrance is free with your tournament wristband and all are welcome (over 18s) – including spectators, skaters, family & friends. 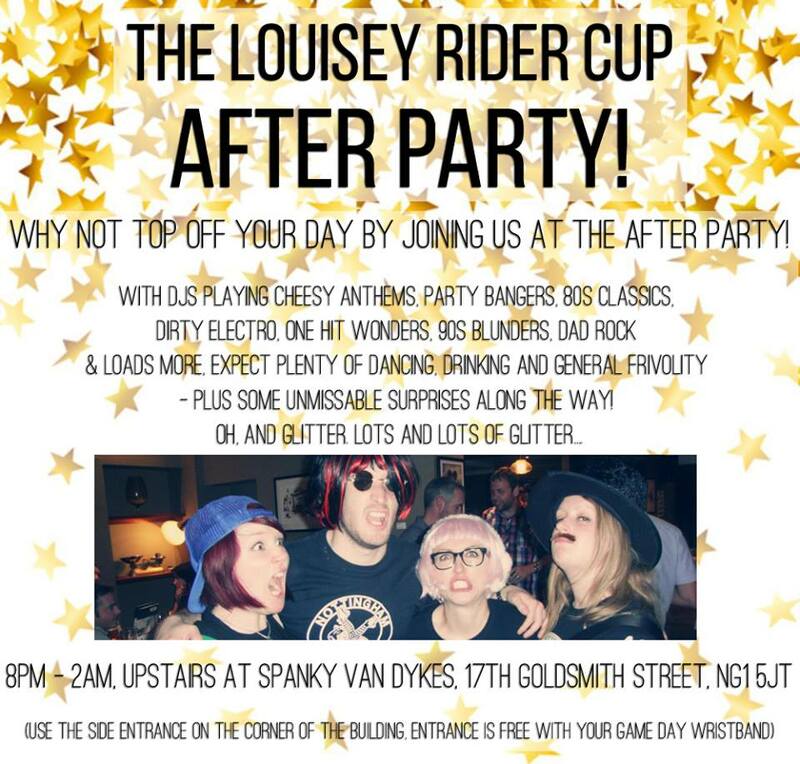 If you are wanting to attend the afterparty but are unable to attend the tournament, please get in touch so we can add you to the guest list. This entry was posted in Events and tagged LRC by Nikki. Bookmark the permalink.